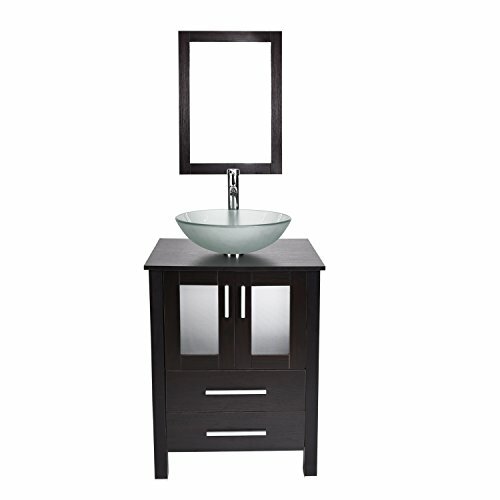 Maykke Certified Solis 17" Vanity set is both stylish and functional in a warm Cinnamon finish. 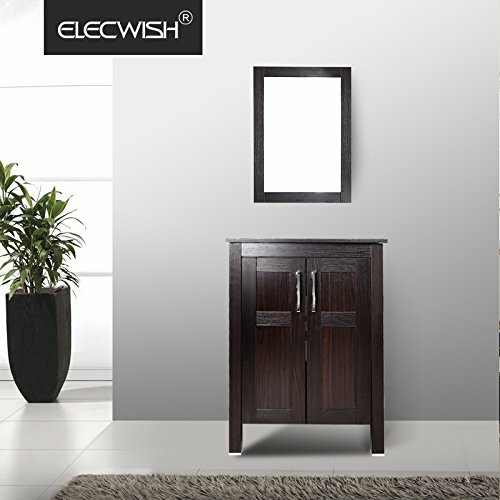 Constructed of solid wood, and furniture grade plywood construction with real wood veneer Finished with non-toxic, eco-friendly polyurethane for maximum protection. 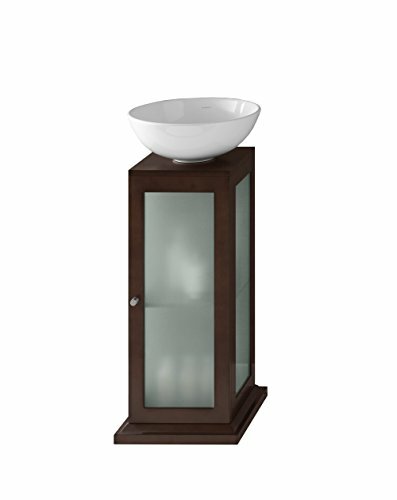 Open storage in the contemporary glass pedestal will provide ample amounts of storage. 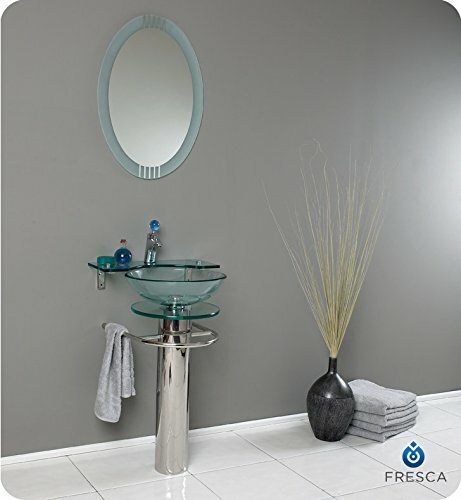 Topped with a white ceramic vessel completing this inviting vanity. 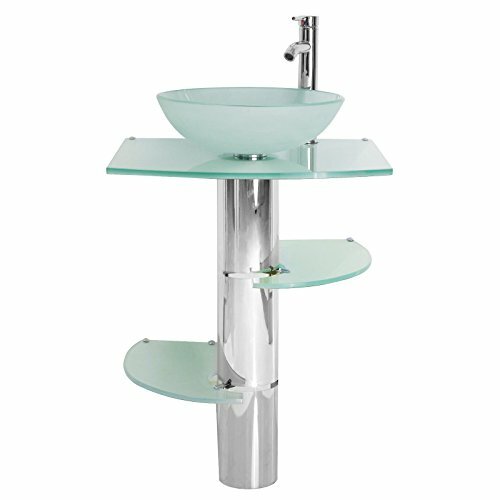 Manufactured by Ronbow Corp.
Modern Bathroom Vanity Set Stainless Steel Pedestal Beautiful Frosted Glass Vessel Sink glass shelves and Faucet pop up and p- trap all included in this set. 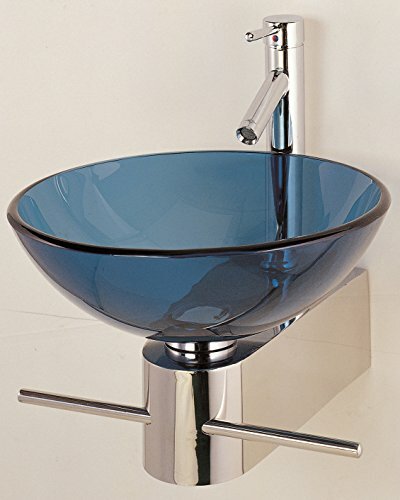 Vessel sink measures 16.5 in. 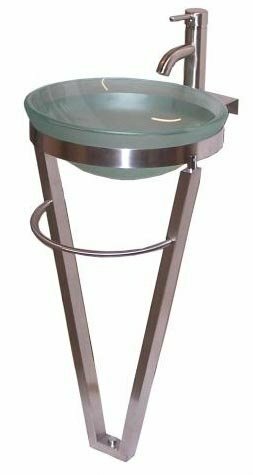 diameter Faucet, sink, pedestal, drain included Set Dimension: 20 in. 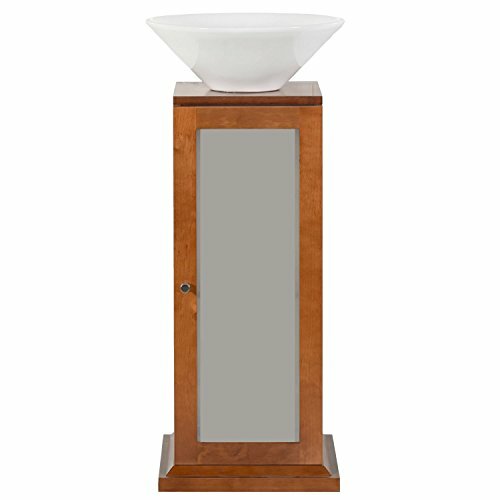 wide x 18 in. deep x 33.5 in. 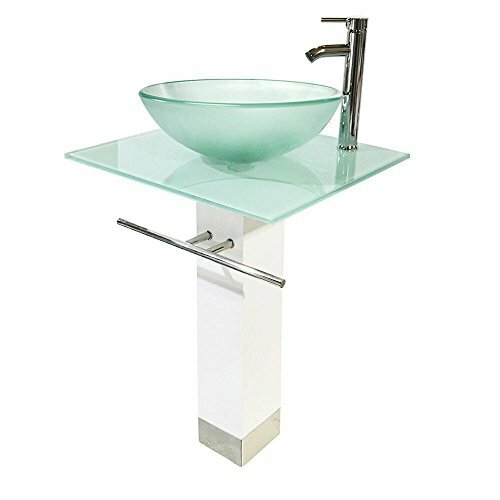 high Frosted tempered glass sink, shelves and tempered glass Pop-up drain and p-trap with chrome finish included Pedestal stand: 29.5 in. tall Please contact for any questions about this set.